Q: Where are the railway carriages from? Peaky Blinders is one of the most unique British dramas ever made. I would even go as far as to say TV history in the making. 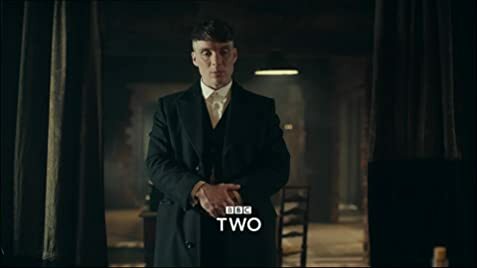 Negative critics of the show seem to have overlooked the fact that this is the first time ever that this side of British gangster-lore has been documented. Off hand, the only thing that comes close to this style of gangland depiction is the first half of Once Upon A Time in America, were we see the heroes struggling to escape the deprivation of ghetto life. This is where Peaky Blinders stands out from the typical run-of- the-mill crime show. There is nothing glamorous about being a gangster in this world. As far from LA Confidential glitz as you can get, the viewer is forced to get down and dirty in the horseshite-ridden streets of post WW1, working-class Birmingham. The attention to detail, the costumes, the sets, particularly the Lee family dwellings, have all been created to the highest standard. As is the quality of acting, which is undeniably as good as you'll find in any prime-time British drama. Even though people on this particular forum have not had much positive feedback about the series, believe me, the connoisseurs of this genre have been very impressed thus far. Furthermore, the show seems to be building up to climatic ending rather than simply documenting a day in the life of a Peaky Blinder. The more observant viewers will see subtle 'tie-ins' between each situation and be able to follow the flow of events without obvious prediction. This is what the drama audience thrives on to stimulate analytical debate after each episode. 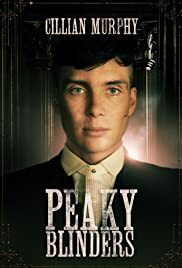 If it doesn't get rave reviews, I will be disappointed but not surprised, as Peaky Blinders has all the makings of an artistic and timeless cult series, possibly appealing more to purists and true fans of the cult/gangster genre. Well done BBC. 261 of 317 people found this review helpful. Was this review helpful to you?